Are you in the market for roof replacement in Texas? Roof replacements have to be done right — that much is clear. But getting a new roof installed before it’s too late is just as important. Recognizing the signs that it’s time to replace your roof is key. If so, you’ve come to the right place. 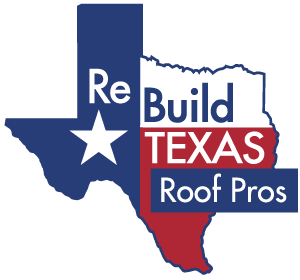 We are Rebuild Texas, and we’re proud to say that we’re your number one choice for all of your roofing needs in Dallas, Fort Worth, Houston, Temple, Colleyville, Grapevine, Southlake and beyond. Replacing your roof is a big deal, and it’s incredibly important that you pick the right team for the job. Luckily, with us on your side, finding the right roofing contractors doesn’t have to be difficult! If you have an asphalt shingle roof, you can expect to get anywhere between 20 and 25 years of service out of it. 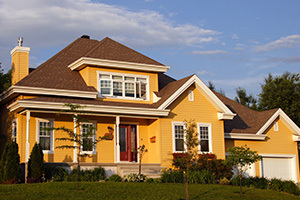 Is your roof reaching the 20-year mark? Schedule an appointment to have a roofer come out and take a look. Chances are, you’ll probably need to get it replaced sooner than later. 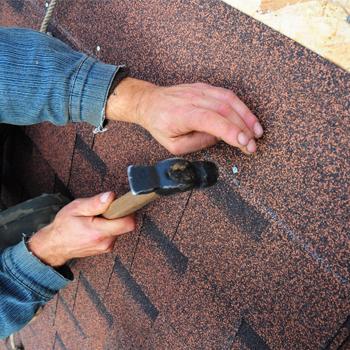 Your shingles are missing, curling or buckling. Properly fastened shingles are an incredibly important aspect of your roof, and if your shingles have gone missing, or they’ve curled or buckled, they can’t do their job. This means that water could leak into your roof, leading to water damage if it’s not taken care of promptly. You’ve found shingle granules in your gutters. When your shingles start to deteriorate, it’s not always as obvious as it is when shingles are missing, torn, curled or buckled. However, you can get a good idea of what kind of condition your shingles are in by looking for shingle granules in your gutters. You should also look for dark or inconsistent colors on your roof. The lines of your roof should be perfectly straight, and if they’ve started to sag, it’s time to get a roofer out to your home as soon as possible. Sagging can occur on water-damaged roofs, as well as roofs that are holding excessive weight, both of which will likely require a new roof to repair. Other possible causes of a sagging roof include foundational shifts, or poor quality roofing materials or installation. Turn to Rebuild Texas for professional roof replacement you can trust. Has the time come to replace the roof on your home in Texas? Turn to the experts at Rebuild Texas. We’re a top 1 percent roofing contractor, and we work with a wide variety of roofing materials, including asphalt shingles, metal, stone coated steel, slate, TPO and more. Best of all, with us, you can get a new roof for as low as $99 per month! Combine that with our incredible roof financing, and you won’t find a better deal. Schedule your free roof replacement quote today!